It's the great French dream that so many of us who move to France cherish, in those heady days before we actually pack up and leave Blighty's fair but chilly shores forever. We want to find that French property, that delightfully decaying French farmhouse, hidden perhaps, in some green and luscious corner of Limousin (Limousin Property Guide), on the elegant banks of the River Dordogne, along the windswept cliffs of bonny Brittany (Brittany Property Guide) or in the heat and dust of somewhere in the south. It matters little where, but wherever we are seeking, it is quite likely that what we are seeking is a house renovation project. There is something about the idea of taking a French property that has lost its way and restoring it to its former glory, or perhaps, even improving it that seems to appeal to Brits in particular. It is, however, worth taking a long hard look at the pros and cons of house renovation in France before you embark on such a project, as there can be pitfalls in store for the unwary. If you think it will all be plain sailing, just take a look at the popular television channels that love to tell the stories of those who have tried and failed! Is a house renovation for you? There are of course, degrees of house renovation needed, and projects can vary from complete ruins requiring total rebuilding to almost finished projects and those needing nothing more than a lick of paint and a little updating. Clearly it is necessary to decide, realistically, what you are able to tackle, and you should perhaps listen to the advice of those who know you best on this one, as it can be hard to take an objective view when your heart is crying out for a beautiful wreck! French house renovation is not for the faint hearted! Depending on the scale of your house renovation, you may have to be tough enough to live with a considerable amount of mess and discomfort for a long period of time, on top of getting used to life in a strange country and all without the support of family and friends. Do not underestimate either, the potential difficulties you may encounter with the French language. (Learning to speak French - Misadventures in a Foreign Tongue.) If you are renovating a house you will have to deal with technical language, decipher legal terms and fill in forms, instruct craftsmen, and also be able to understand directives and advice from local authorities. House renovation in France is not for the faint hearted! Once you have decided that you have, indeed, the physical, emotional and linguistic capability to renovate, before you decide to commit to the purchase of a property, it is vital to make preliminary enquiries as to its potential for renovation or development. Many people assume that any tumble down property can be turned into a beautiful house, but this is not always the case. There are a lot of properties out there that are destined to crumble away for reasons of planning restrictions, ownership disputes (due, in part, to French inheritance difficulties) and a myriad of locally imposed reasons. The Permis de Construire is the full permit to build or develop in accordance with the law. It is absolutely necessary (whatever your enthusiastic immobilier agent may tell you) should you wish to make any alterations or additions to your property that will affect its taxable value. Changes that affect the look of the property from the outside may be significant, such as installation of windows and doors where none previously existed, or extensive alterations to the roof. The installation of a septic tank, the construction of a large extension or outbuilding, and any change to the use of a building, such as converting farm buildings into residential accommodation all require a Permit de Construire. Once more, this is in no way intended to detail all the circumstances that require full planning consent, but aims simply to give an idea of such circumstances. It is important to remember that frequently in France local regulations prevail, and therefore it is impossible to give definitive conditions as many are dictated by local authorities and exact locations. It is also worth noting that should you wish to demolish any buildings you may need a Permis de Démolir. This can also apply to the cutting down or uprooting of trees, so keep yourself on the right side of the law and check it out first. Once you have obtained the necessary permission to renovate your property there are a few more things to consider. If you are not living permanently in France, and will have to oversee the project from a distance, then it may be worth employing a project manager who can take on the burden of organising everything for you. There are pros and cons to this, as to everything, and not least of the cons is the cost, which will probably be around 10%. It does, however, remove the worry of finding reliable tradesmen, of speaking French, and of dealing with the authorities over every little problem that occurs. French or English builders... or DIY? The burning question in renovation among ex-pats is whether or not you should use French or English tradesman and indeed, whether it is better to dispense with them all and go it alone. Using French builders and craftsmen may earn you Brownie points with the local community, as there can be resentment against hordes of English coming into an area and promptly offering all the work to other ex-pats... especially if these happen to be working "on the black" and not paying the appropriate taxes and social charges. This is covered in another article (Jobs in France) so I won't go into detail here, but do be aware that if you are caught employing anyone who is not properly registered, you will bear heavy fines. The obvious drawback to employing French labour, however, is that there may be a language barrier. English craftsmen and builders are found in every corner of France these days, and you can easily find them by word of mouth, adverts in local publications and on the Internet. As long as they are properly registered (look for the Siret number) then there should be no problem in doing this. The third option is to do your house renovation all by your own fair hand. This can be very difficult and a long drawn out process, but ultimately, if you are skilled and experienced it is another option to consider. The satisfaction of having "done it yourself" can be great, but it is not necessarily the cheapest option. A registered tradesman is able to take advantages of considerable tax breaks, and can purchase materials at greatly lower prices than the private individual is able to do. This means that in certain circumstances it is actually cheaper, or at least financially equivalent to employ a tradesman to do the work than to buy the materials and do the work yourself. So just to clarify things, if you work on the property yourself, and are not a registered artisan working in a "réel" system of taxation, you will have to pay the higher rate of TVA (19.6%) on all purchases of materials. The same applies if you are employing an artisan who is only registered under the new auto entrepreneur scheme. The two-tiered TVA system means that traditionally registered artisans (who pay TVA) can charge for materials at the lower rate of 5.5% TVA, and pass on the savings to the client in the form of a lower bill. This means that as mentioned in the previous paragraph, it can actually be cheaper in the long run to employ an artisan to do the work than to do it yourself. You should also be aware of the different rates of TVA that come into play for old and new properties. Any property which is over two years old is eligible for the 5.5% rate of TVA on any work done, while works carried out on newer properties must be charged at 19.6%. Another possible way of lessening the liability, if your French home is not your principle residence and you are not a French tax payer, includes living in the property for more than five years. Every year after this you will pay 10% less tax every year, so that after fifteen years you are no longer liable for capital gains. Capital Gains Tax for French residents is now set at 16% plus 11% social tax. Non European residents will pay 33%. ** SEE "Capital Gains Tax in France on Property" FOR REVISED RULES AND RATES. One further point to consider is that it may be worth setting up a type of limited company known as an SCI. This, without going into too much complicated detail, can help protect you against crippling inheritance taxes. A good notaire will advise whether or not you could benefit from this option. The waters are indeed murky, and change is afoot now that Sarkozy is in power. The only way to be sure of your own liability is to take professional advice, preferably with a local expert who will be aware of all current legislation. ** SEE "Capital Gains Tax in France on Property" FOR REVISED RULES. Electrical systems are considerably different here in France from those that you will be used to in the UK. Firstly, the power supply for any individual property will probably be set at nine, twelve, fifteen or eighteen kw. If you want to increase the power rating for your home due to extension and renovation, you should contact EDF. Be aware, however, that if you are renovating a really old house, you may find that the power rating is so low that you can't even boil the kettle while having a light on! Fortunately the process of upgrading is quite straightforward, although the price of your electricity will rise accordingly. French electrical systems, unlike the ring systems in the UK, are wired on spurs running from a distribution box. Most of these can support several sockets and fittings, but large household appliances such as washing machines must function from their own individual spur. It is certainly advisable to use a good, qualified and experienced electrician for the electrical work in your renovation project. Not only will he or she be familiar with the French systems but will also be able to make sure that the electrical system complies with current standards, and conforms to the French norm, the NF C15 -100. Something else to be aware of is that French electrical systems are liable to lightening strikes during storms. The southern and mountainous regions of France can experience frequent and dramatic electrical storms, and it is advisable to fit protection to your distribution box. If you do not have additional protection, it is a good idea to unplug computer modems and televisions during storms to avoid the risk of burnout due to lightening strikes. The following is some advice from qualified electrician Nigel Green, who has been working in the Aude and the Ariège departments of southern France for three years. Nigel says these are points of which people are often unaware, and which he feels are important to bring to your attention. •	You must have a circuit breaker which can supply up to a maximum of 8 sockets if you use 2.5 mm cable or up to a maximum of 5 sockets if you use 1.5 mm cable. •	For lights, again you must have a circuit breaker for up to a maximum of 8 light points using 1.5 mm cable. A light point is any connection either on the wall, ceiling or in the ground where you can connect a light fitting. •	Ovens, washing machines, dish washers and hot water tanks must be on their own individual circuit breaker. •	If you're thinking about having an electric power shower this will increase your EDF standing charge substantially. •	Don't think about bringing any wire, switches or sockets over from England because they don't have the right specification. Plumbing in France is also different in certain key areas. Water pressure is greater than in the UK, with a pressure of six bar common. This needs to be regulated, ideally to three bar, and this is done by fitting a pressure reducing valve at the entry to the property. In general, modern European plumbing fittings are similar, but if in doubt simply purchase all your fittings and materials in France and you should have no problems with compatibility. It is also good to be aware of the fact that in most areas of France the water can be very high in calcium content, causing problems with lime scale build up in pipes, kettles and other equipment. "Anti tarte" devices can be fitted to counteract this, and it can also pay to use water softening equipment, although this must not be applied to the drinking water as calcium is necessary for good health. DIY or use local tradesmen in France? Once more, although you can do your own basic plumbing work on a renovation, it often pays to use a qualified local tradesman who will be familiar with the local water pressure and perhaps some of the more outlandish fittings found in very old properties. Heating and other complex systems must be installed by a registered plumber. Check that he has a Siret number, and this will be your guarantee that he is registered, qualified and accountable. Septic tanks are common in country properties, and these are subject to a highly complex set of rules and regulations. Details of your responsibilities regarding these tanks are available at the Mairie, whose responsibility it is to oversee the septic tanks in the village or town. Good maintenance and emptying every four years is advisable, and this must be carried out by a registered and approved company. Roofing is another matter likely to be foremost in the minds (and chequebooks!) of those contemplating renovation work in France. Despite the fact that some of the initial charm of the property may seem to lie in its uneven and slightly dishevelled roof, sooner or later you realise that you need to tackle the problem in order to live a safe and comfortable life in your dream home! There are many different types of roof found in France, with thatched roofs popular in certain areas such as Normandy (Lower-Normandy Property Guide, Upper-Normandy Property Guide), but in general you will find that northern properties are equipped with fixed grey slate roofs whereas properties in the south have red terracotta roofs. The old terracotta or canal tiles are not fixed but rather laid in a style that holds each in place by overlapping its neighbour. These are only suitable for properties with low pitched roofs, such as are found in areas with low rain fall and warmer weather. Maintenance is essential, as storms and high winds or deterioration of underlying structures can cause slippage and gaps. A final word of warning. If you are going up onto a roof in summer to inspect or to work, take a can of high pressure wasp killer with you. Wasps and hornets frequently nest in roof tiles and can present a real hazard to roofers. One final point that you may wish to consider before embarking on your renovation project is the question of costs and profits. Do you hope to make money from this development, or is it intended primarily to provide you and your family with the home of your dreams? If the latter, then press on, but if it is the former you will need to take a very business like approach to renovation if you are to reap the financial rewards you envisage. Many a keen project developer has found that costs and taxes have outstripped any potential profit, and that the market does not always move as fast as you may wish. Renovating a house in France - a good or bad idea? I found your website very useful and informative. However I have a question for which I am having difficulty finding an answer. In 2006 my daughter bought a semi-detached house in poor repair in the Mayenne area. The adjoining building is falling down and causing considerable damage to hers. The owner of the property has died and apparently an illegitimate daughter is the heir, but no one knows where she is, a situation that has persisted for many years. It seems the property is not covered by any insurance. In order to begin renovations, my daughter would need to remove the broken roof beams which would result in what is left of the neighbouring building collapsing completely. What are her rights and what does she need to do to go ahead with the work? Or your daughter could contact her Mairie, who should be able to advise on her best course of action. I am currently drawing up plans and the dossier for the "Permis de Construire" for a friend who has bought a tiny house in south-west France. He has a limited budget. I would like to know how I can calculate the rough building material costs of my plan for the block walls, plasterboard, windows etc so I can modify it if it is too costly. Most of the labour will be done by friends and family. If you know of any websites, or puplications in French or English that could help it would be much appreciated. 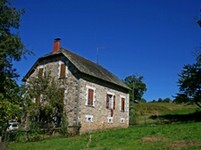 Hi there - we recently bought a house in the Bordeaux region and are taking quotations for work. The estimates for everything are through the roof! One of the main and most important things we need to do is change some of the floorboards (woodworm - predictably). Do you have any idea of what we should expect to pay this? A ballpark figure? Any help/advice would be very much appreciated because we are in shell shock right now! Thanks for contacting us, although I'm afraid it would be impossible for me to guess at what you should be paying, especially as I am no expert in these matters. However, you may like to contact a relevant specialist from the Services section of our site (http://www.frenchpropertylinks.com/members.asp, to see if they can advise at all. Is planning permission necesssary in France for upgrading works within the existing building framework or for adding more windows to what is a very gloomy property in terms of natural light. Many thanks. "Windows usually require permission as they change the look of the exterior of a building. Internally you can do what you want, but you must declare extra rooms created and the increased footprint if any. If you are adapting farm buildings to form part of living accommodation ie: changing use, you need consent." My son lives in France and lives in one property and owns another where the roof has collapsed. He has now been told by the local council to fix it ( which he can't at the moment due to lack of finance) or he will have to pay them 50,000 francs (sic) for them to fix it. Surely that's not right? Thanks for contacting us. I have been in contact with my colleague Joanna who says that if the property is not lived in it shouldn't be an issue, there are many derelict properties about. So this does seem odd. But that is unless this property poses a danger to passers by, maybe then the council can insist. I would suggest your son asks the council what the reasons are for demanding the repair, and if necessary then take legal advice if it still doesn't seem reasonable. My partner and I have just purchased a ruin to restore. Having just removed the brambles surrounding the buildings, we are aware that it is easily accessible to curious passers-by. We have erected danger signs, but we are also keen to protect ourselves from any potential liability from someone ignoring our signs and injuring themselves. Please could you advise on our legal responsibilities and also if you know of an insurance company that would provide public liability cover. Many thanks! Thanks for contacting us. I would suggest you contact your Mairie to find out what legal responsibilities you may have, or a legal advisor, as I am no expert in these matters. Regarding insurance, you may wish to try Schreinemachers (http://www.insurance.fr/), who seem to be very helpful with all aspects of insurance. 1) If I want to create bedrooms in the attic space do I need planning permission? It is a very rural area and there are only two neighbours. 2) I would like to have an AGA cooker to run the hot water and cook with, are there any regulations about this. Options for LPG or wood. Thanks for contacting us. I wouldn't think you would need planning permission, just a Declaration of Works, but it may be worth reading our article "French Planning - new laws from 1st January 2012" in case you haven't done so. I would suggest you also get confirmation from your future Mairie. For regulations about having an AGA cooker, perhaps you could use our Business Directory and contact some builders who may be able to help. What is the average cost if installing a WC in France? I would like to have a half bath (sink and toilet) on the first floor and many properties I see don't have one. Thanks for your advice. Thanks for contacting us. I would suggest you get in touch with some builders in France, perhaps using our Business Directory, to get an idea of costs. Should anyone reading this be able to advise, please do get in touch. Is there information anywhere about English speaking project managers (we live in UK, and our French house has been damaged by lightning) working in France? It may be worth contacting your Mairie too, and even looking at Pages Jaunes. Also searching internet forums. I have had a quote for trees to be taken down, and on the paper work he said it would be done within six months. No show - I am now worried as I only bought the house on the condition that the trees were taken away as they are danger to the house. What can l do? Thanks for contacting us. I do not quite understand the conditions you bought your house under, but I assume you have chased the person who provided the quote and the person you bought the house from. Perhaps you could contact your Mairie and/or the Notaire you used in your house purchase, and see if they can advise. I would hope you could get someone else to take down the trees and forward the bill to the previous owner of the property, if this was all in the contract. Of course a legal advisor should also be able to help, but this will cost money. Hello - I wonder if you can help me. I have found a lovely elevated ground floor flat in a seaside town on the south cost of France. It has been renovated and two walls, which appear to be load-bearing have been removed. The windows have had double glazing put into the original frames so no external detail has been changed. The tiling on the floor has apparently been changed with sub-floor heating installed (although oddly they didn't put in air-conditioning). A new lowered ceiling has been installed with small halogen lights set into it and an extraction fan over the cooker and been inset into the ceiling. I am told by the immobiliser that there are no permits for any of this work and that they are not necessary. There are no builders or architects plans available either. I have decided not to proceed on this basis. Am I right? Thanks for contacting us. I think playing it safe is often a wise thing to do, but I'm afraid I can't say whether your flat needed permits/plans for the building work that has been done. (Though I would also be a little suspicious with no plans/guarantees from builders etc.) You could contact some other builders/architects working in France for their advice, perhaps using our Business Directory, or maybe get advice from the local Mairie. Can you get grants in France for insulating your home? Thanks for contacting us. I think it depends on various criteria, such as the age of your property, but I would suggest you contact your Mairie about this, to see what might be possible. 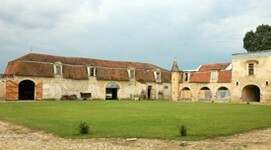 You may find our article "Property Grants available in France" (http://www.frenchpropertylinks.com/essential/property-grants-france.html) of interest. You may do a lot of DIY in France but certain items must be installed by a competent person to comply with the "Normes" (like UK Building regs). These include oil heating systems etc. If in doubt about what you wish to do structurally, go and talk to the French officials at the D de D though regretably you can't do this if you have not the lingo. They may even sketch a suitable solution. Oddly in the UK the planners love the Co-planar velux style windows for attic (grenier) conversions and dormer windows would not get through. In France the reverse is now true. The best book to explain most of what one needs to know about old French rock piles is in French and may be heavy going for some, but it is full of illustrations: La Maison Ancienne, Eyrolles publisher, ISBN: 2-212-11060-X, 30 Euros and worth very penny. Another obvious thing is if you have a fire associated with a chimney which has not been regularly cleaned, you will face a fine.